WHY: Take an additional 60% off sale merchandise for a savings up to 85% at the Scoop NYC Ultimate Closet Clean-Up Sale. Designers for women include: Scoop, Iro, Velvet, Joie, O’2ND, Rebecca Taylor, Helmut Lang, Alice + Olivia, Missoni, Veronica Beard, Equipment, Rag & Bone, 3.1 Phillip Lim, Misha Nonoo, Zimmerman, Carven, Citizens of Humanity, and Zac Posen. Designers for men include: SCP, Vince, Etro, Billy Reid, Paul Smith, AG, J.Brand, Rag & Bone, Citizens of Humanity, Theory, Tailor Vintage, and John Varvatos. 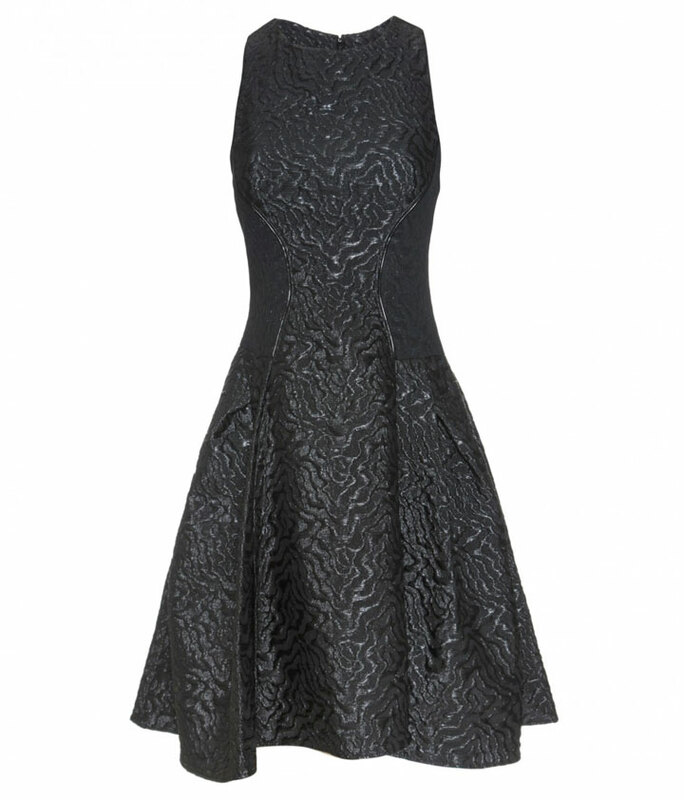 Items on sale include Zac Zac Posen Dress – Original $650 and is currently marked down to $389. With an extra 60% off it will be $156!! WHY: Take an additional 40% off all sale styles for a saving of up to 75% at the Scoop NYC Online Winter Retail Sale. WHY: Take an additional 40% off all sale styles for a saving of up to 75% at the Scoop NYC Winter Retail Sale. Sales that are hawking their final batch of summer goods are everywhere we turn these days, even in the bright aisles of Duane Reade, where whiffle balls and high SPF’s are marked down to an all time low. By now we’ve accumulated heaps of tanks, sandals, and bathing suits, making us well prepared for a summertime apocalypse. This week, get it all out of your system before Fall clothing cloud our vision, by visiting sales from Scoop, In God We Trust, ABC Carpet & Home, No. 6 and Lauren Merkin. The ABC Carpet & Home Warehouse Sale is currently underway, drawing Manhattanites and Brooklyn dwellers to the Bronx for up to 70% off furniture, rugs, lighting, linens and accessories. In the past, shoppers have claimed that the relatively easy drive to the Bronx is well worth the deep discounts for top tier merchandise, including 60% off Calvin Klein and up to 75% off hand painted Turkish rugs. Wake up feeling alive and revived Tuesday, thanks to Monday evening’s gorgeous Perseid meteor shower and celestial light show and pop over to the Lauren Merkin Sample Sale on 29th street for up to 70% off retail prices. Upon entering, be sure to rush over to the $20 bargain bins to secure some incredible deals, followed by the section featuring small leather goods for $15. After you’ve had your fill, keep your eyes peeled for the mini Marlos denim and camel clutches for $175 (orig. 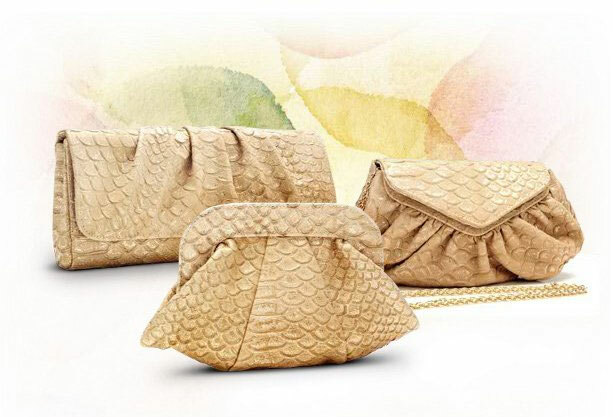 $325) and Vivi Coral Shimmer Croco clutch for $125 (orig. $295). Everyone seems to be personalizing their sales this week. We have everything from your average sample sale, to a warehouse sale, followed by a group sale, and now the No. 6 Clean Out Sale. Designed by Vintage collector Morgan Yakus and stylist Karin Bereson, No. 6 has been growing in popularity thanks to their famous clogs and floral clothing. Beginning at noon on Thursday, No. 6 will slash up to 70% off their clothing and accessories to bring shoppers boots for $225, clogs for $150 and collar necklaces for $375, all within their Nolita shop. Last season when I visited the Scoop sale, I scored a T by Alexander Wang sweater for $40 and his famous Slub Classic T-shirt for $17. With that being said, be sure not to miss Scoop’s Warehouse sale beginning Thursday in their Meatpacking District location. 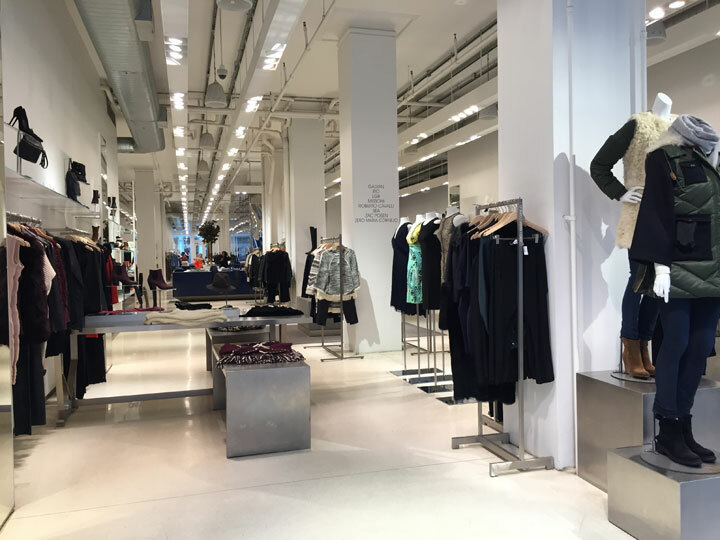 Clothing will be up to 85% off retail prices, and will feature designers Helmut Lang, Alive and Olivia, Rag & Bone, Current Elliot, and of course Alexander Wang, among others. In God We Trust, among one of the cutest and most original shops in town that mixes vintage styles with feminine edge, is teaming up with Swords-Smith for a Massive Group Sale in Williamsburg. Beginning Friday and lasting through the weekend, the Swords-Smith and In God We Trust Sale will feature clothing from over 80 designers, including Lauren Moffatt, Samantha Pleet, Chromat, Creatures of Comfort, M. Carter, and Nomia. Expect to find clearance items, pieces from past collections and true samples, in addition to designer experiments.